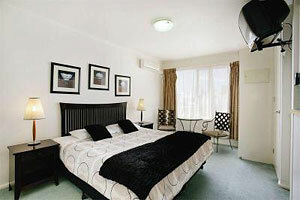 Welcome to Knightsbridge Apartments Melbourne (Serviced Apartments Melbourne) where you will experience luxury at our superbly finished and furnished Studio Apartments and Family Suites in this hotel accommodation in East Melbourne. Located in one of Melbourne's most favored locations, East Melbourne, with its leafy green environment and unsurpassed access to most of Melbourne's attractions. Walking distance to the MCG (600 metres), Tennis Centre and the CBD a short stroll though the beautiful Fitzroy Gardens and public transport all most at your door. A 5 minute stroll to Cosmopolitan Bridge Road, Richmond, with it's many Fashion Outlets, Restaurants, Cafes and the Epworth Hospital. Reception is open from 7.00am Monday to Friday, from 8 am on Saturday & Sundays. We offer reception service until 7.00pm only.If arriving after hours please contact reception for alternative key pick up. Limited off street parking available. Can offer some on street parking permits. Please inquire on parking availability on booking. 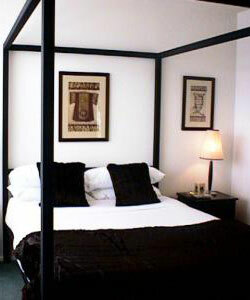 Includes king bed or 2 singles with kitchenette, en-suite, remote t.v. & reverse cycle air-conditioning. Foldaway bed $20 (max 3 per room). Rates are for 2 people. Extra adults $20.00. 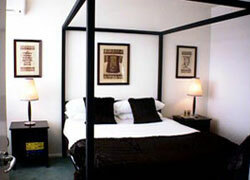 The room caters for a maximum of 3 adults, and a maximum of 1 child but cannot exceed 3 guests in total. Includes your choice of 2 king size beds, 1 king & 2 singles or 4 twin beds,(please specify your needs at time of booking) with kitchenette, ensuite bathroom, remote TV & reverse cycle air conditioning. Free parking and Foxtel.